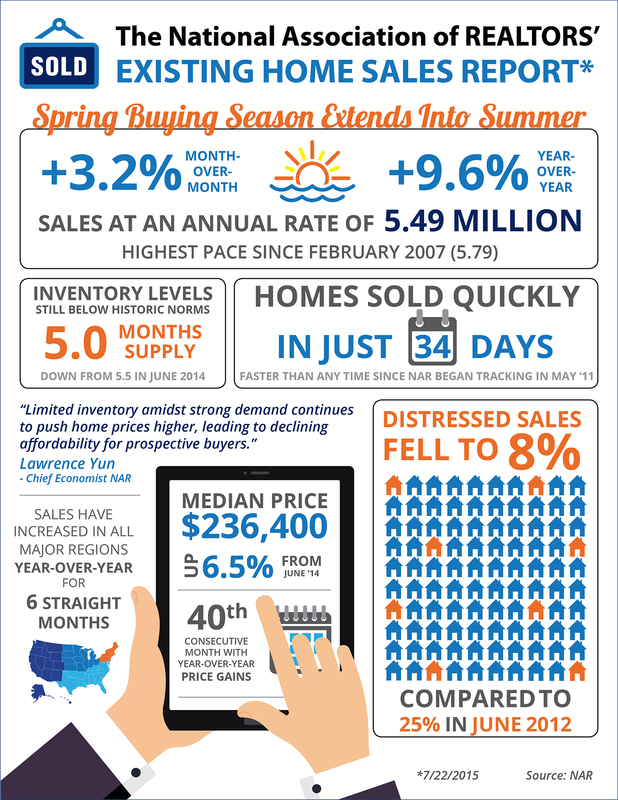 Existing Home Sales are up 9.6% over last year. Homes Sold on Average in just 34 days! Inventory now stands at a 5.0-month supply. Distressed Sales made up only 8% of all sales.